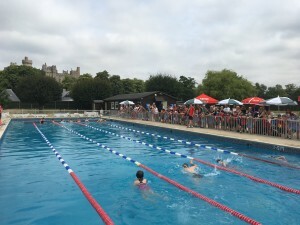 On Friday, the children in Year 3,4,5 and 6 took part in our annual Swimming Gala at The Lido. Year 1 and 2 came down as spectators. The children competed in a range of different races with all abilities taking part. They raced in their houses with Brotherton as the overall winners. Thank you to the parents who helped to walk the children down to the Lido and well done to the children for their good behaviour and great team spirit!